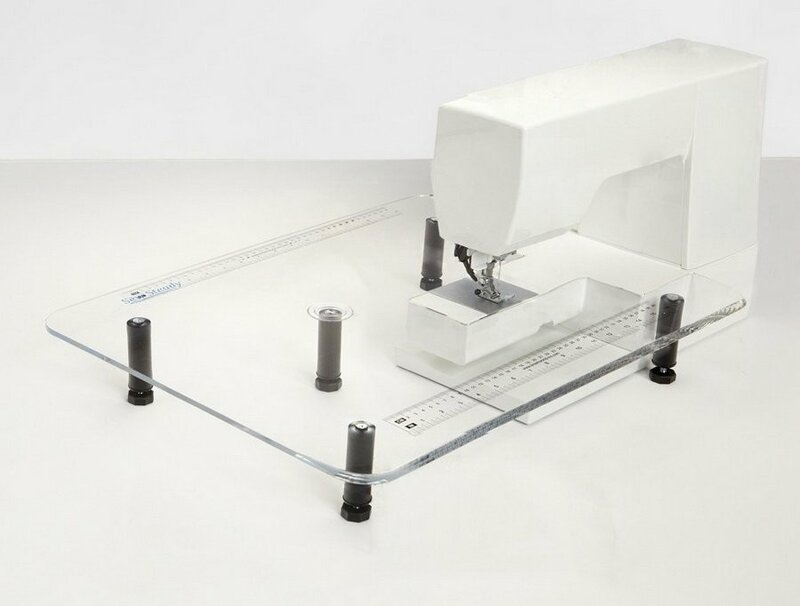 The Large Sew Steady table by Dream World measures 18" x 24", and comes in 2 different versions: one for free-arm sewing machines, and the other for machines with embroidery units. The legs snap on and off for easy assembly and storage without need for tools. It has rounded front edges and comes with a movable static-cling ruler. This Sew Steady Extension Table is covered by a 1 year warranty.